Yes, send my free digital poster, "Stay Where You Hum™". 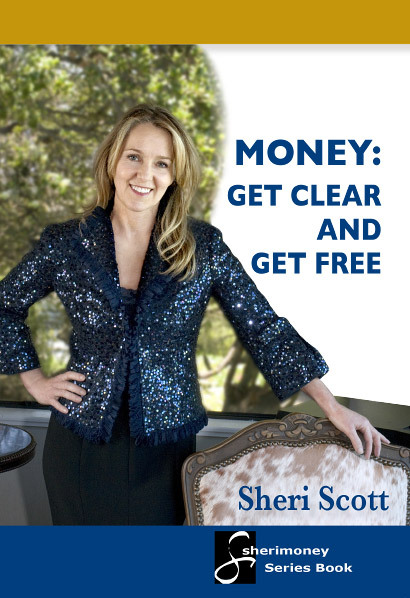 In Money: Get Clear and Get Free, Sheri comes alongside as your advisor, with decision tools, savings plans, budgets, debt analyzers and lifestyle evaluations so you can get clear about your financial reality, discover how your thinking is affecting your finances, and declare what you want more effectively. Move into daily action. Transform your finances. Boost your happiness and satisfaction. If you want to break through to the next level or break free of obstacles that have limited you in the past, this is the perfect book for you. Look for it first in electronic format, where we can save paper and provide extra functionality. Hi, welcome to the Sherimoney website. It’s under reconstruction. But, I’m leaving this page up to give you a peek at some of my work in progress. Money: Get Clear and Get Free, is a groundbreaking new book that leads you step by step through everything you need to get past money as a limit to your potential. This book encourages you to look at what is real and move through to a better life, curing the causes underneath your financial troubles rather than just trying to make the symptoms go away. Once you’ve addresses the three root causes, you’ll have the clarity you need to get free. My finances make sense to me now. Thank you for being calm and straightforward. I’ve made critical financial decisions. Copyright© 2014 Sherimoney.com, All Rights Reserved.